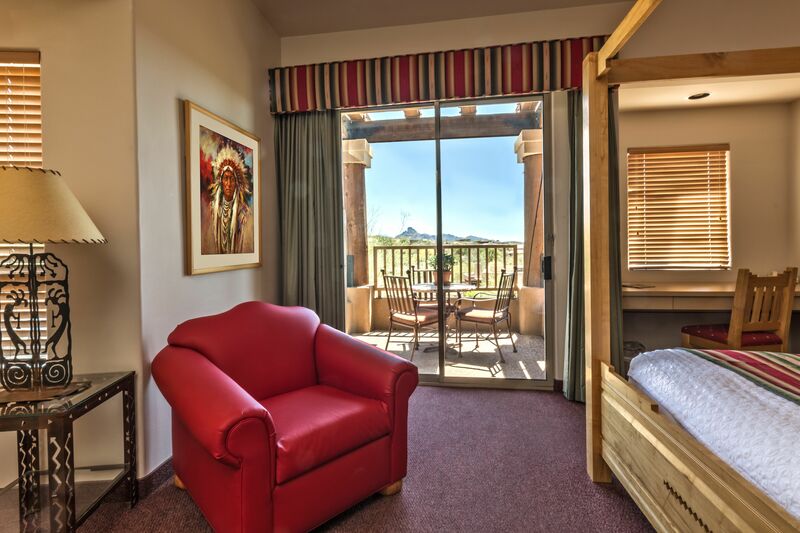 Each mini-suite and two room suite of our unique resort, located on the 18th Green of the Golf Club at Eagle Mountain, features custom Southwest décor, a romantic "kiva-style" gas fireplace with cozy sitting area, computer desk with high-speed wireless Internet access, HBO, refrigerator and coffee maker. 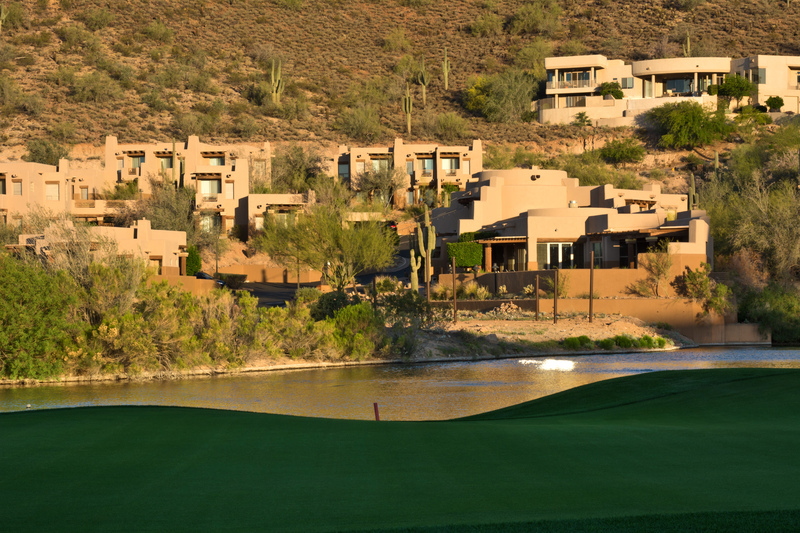 Relax and unwind in your private over-sized whirlpool spa tub, and enjoy the views of the top-rated golf club, on-site spa, pristine desert, mountains and the city lights below from your private patio. The Inn at Eagle Mountain features meeting rooms and event space that can accommodate groups of up to 75 people!